New league announcements for either football game are a big deal – and it's first blood to EA Canada ahead of the new season's big licensing arms race, with the news that Germany's third division is coming to FIFA 18. 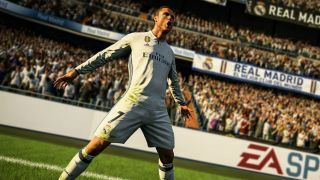 The report comes from highly reputable German footy mag Kicker, which states that, "The deal between the German Football Association (DFB) and Electronic Arts (EA) has already been sealed, only the announcement has so far been pending." "Good news for the fans of SpVgg Unterhaching, Karlsruhe SC and the 18 other clubs of the 3rd league: The third German game class will be introduced to FIFA 18," writes Kicker journalist Christian Mittweg. "In the new part of the football simulation, the fans of the clubs can cheer their favourite clubs on the virtual lawn for the first time, or go trophy hunting themselves in career mode." While Premier League obsessives may cast a cynical eye over the news, it's important to know that this set of teams is one of the series' most requested; an ongoing fan poll at fifplay places 3 Liga as the most wanted new league in FIFA 18, with over 230,000 votes. That puts it narrowly ahead of the Indian and Chinese top divisions. Teams at this level include Hansa Rostock and the pair mentioned by Mittweg – Unterhaching and Karlsruhe – all of whom have spent time in the German top flight. Players who might sneak into your all-silver FIFA 18 Ultimate Team squad include Wurzburger Kickers centre back and captain Sebastian Neumann, capped 11 times for Germany's U21 side, and recent Magdeburg singing Andreas Ludwig. He's 68-rated in FIFA 17, as part of FC Utrecht's squad. FIFA 18 is out on 29 September. To see which stars we reckon are overdue stats boosts, check out the 11 players who need a jumbo upgrade in Ultimate Team.